So I consider myself a bit of an expert on the Elf on the Shelf. After all, he has been a seasonal part of our family for about 7 years now. Based on my expertise I have a few changes that I think would make the Elf, and the whole Elf experience, a little easier to manage. Two elves (yes, two) snuggled up with Sensei from Club Penguin, being serenaded by a pink monkey Beanie Boo and her side kick the tiger striped rubber ducky. There should be a rule that no one in the family can make stuff for the elf. There can be no tie-dye shirts made out of paper that the elf is expected to wear for the remainder of his time here. (See above picture.) No capes that anyone has to try not to rip every time they move the elf from point A to point B. The creating of little elfin accoutrement needs to stop immediately. There should be a hotline that you can call 24/7 that will give you some reasonable and quick ideas about where to hide the elf so that at midnight when you are wandering around the house trying to come up with a creative way to hide the idiotic thing (while your husband is snoring loudly from the bedroom) you can just call and get a bunch of easy ideas. 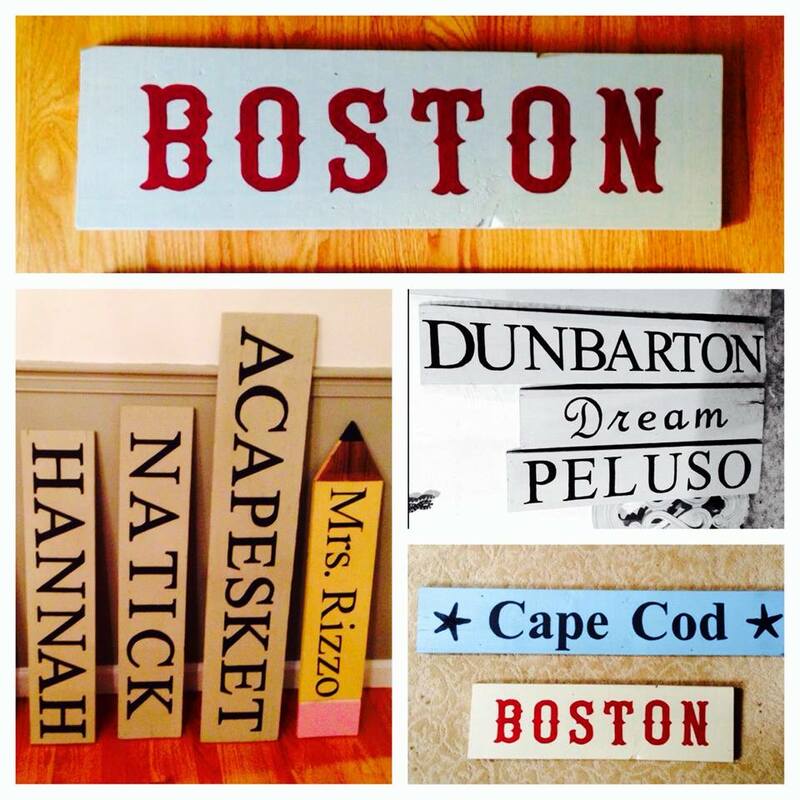 Note: Yes, I know that Pinterest has a million creative ideas. But I’m not talking about anything fancy like the elf “pooping” out chocolate chips, or making snow angels out of flour. I need basic boring “have you tried hiding him on the branches of the Christmas tree, yet?” And then maybe the operator could tell me that I’m awesome…but that would just be a little extra something special. There should be a support group for all the elf movers. At the end of the elf-moving season all members of the group should get together and help each other as we transition back into the real world where we are no longer expected to lurk around the house under the cover of night hiding a creepy little toy. And there should be an open bar at each gathering. And taxis to cart all of our asses home. The part of the story where it says that you can’t touch the elf or he’ll lose his magic should be revised slightly. It should also include a few sentences about how you also can’t leave the elf questionnaires that he is expected to fill out and then leave behind with the answers. The dead of night is not a good time to be trying to write (in disguised handwriting) a good answer as to why Santa isn’t getting them a dog for Christmas. Barring the above suggestion, all elves should come with an emergency remote that lets you suspend time. So when your darling little child comes in your room and says that he is going downstairs to find the elf (at 5:00 in the morning) you can just push the suspend time button and leisurely head down the stairs to find the elf a new hiding spot. Important to note that this emergency-suspend-time remote could come in handy in many other situations as well. And lastly, 2016 should mark the end of the elf era. On Christmas Eve all elves should disappear into thin air, never to be seen again. And all children should have their memory erased so it is as if the crazy elf fad never, ever even happened. p.s. Christmas Eve is in 14 days. Help!!!! 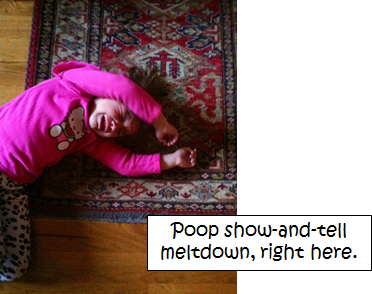 Its amazing the amount of noise and chaos I can tune out when it comes to my kids. For example, I should legit have PTSD from the car ride to the beach on Mother’s Day. But I don’t. The yelling, complaining, and Are we there yet? all just float past me, barely even making it into my ears and to my brain. I’m so good at the tune out that during the whole ENTIRE trip there was only ONE time that I felt the urge to full-body launch myself from the passenger seat directly into the backseat intent on performing a leaping scissor kick while screaming, “That’s right, you BETTER hide!” But luckily I managed to get myself back to a state of calm until the urge passed (Serenity now. Serenity now.) During most car trips I can even let the occasional physical brawl just ride itself out. The way I see it, if you try to give “dead leg” to the person sitting next to you because they are “breathing too loud on purpose”, you’re probably going to get kicked in the head. And that is just a lesson you have to learn on your own. That is NOT something I can teach you. I can tune out lots of other things, too. Take for instance the cabinets in my kitchen. The other day my husband looked closely at them and he was like, “Gross. 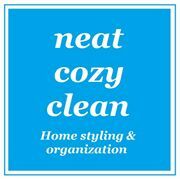 The cabinets need to be cleaned.” And I was like, “Huh? What cabinets?” while leaning against the very cabinets of which he spoke. Gunk building up on the cabinets is something that I can tune out (ignore?) pretty easily. Very easily. Okay, maybe way too easily. But really, I have laundry that is begging to be folded, bums that need to be wiped at various times throughout the day, and dinner that is somehow supposed to miraculously cook itself. Am I really supposed to pay attention to the dirt on the cabinets? Plus, I find that if I walk through the kitchen really quickly and kind of blur my eyes a little I hardly notice the dirty cabinets at all. That works for other parts of the house as well, by the way. It’s kind of like a life hack. I’m just now trying my hand at tuning out my middle schooler’s newly acquired “I know more than you. You may have walked the earth for 44 years, but I am nearly 12 and therefore I know everything” attitude. That one is giving me a run for my money. But I’m no quitter. I’ll tune that noise out sooner or later. The way I see it, my ability to tune out the unsavory parts of my life makes me sort of like a reverse Ninja Turtle. Instead of jumping into action to fight the bad guy and restore calm and order to the masses, I see the chaos and annoyance increasing and I ever so slowly retreat into my shell. 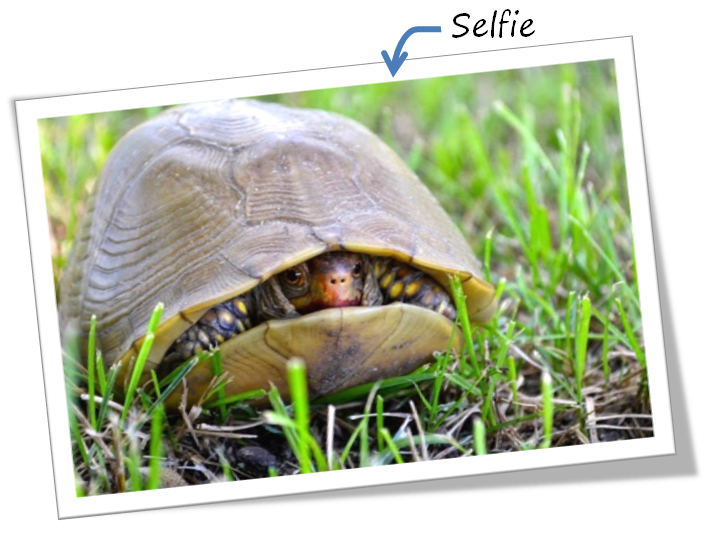 First one foot, then the other… slowly I start scrunching my head backwards until I am safe inside my nice quiet shell, where all the cabinets are self-cleaning, and all the children are pleasant and well-behaved. My shell is the best. I love it in here. It’s so fab that one of these days I may never come out. Oh, and it’s not just me who will drive back through the McDonald’s drive-thru to ask for a different prize in my kids’ Happy Meal, right? I did this yesterday. I had two of the kids in the car, ordered two Happy Meals, got two DIFFERENT prizes. What the heck?! I had to loop around and go back to the window. It sounds mental, I know…but it was so much easier than listening to my 5-year old throw a fit. Tell me I’m not the only one who will resort to giving the little ones Cheez-its for breakfast as we are rushing out the door to be fashionably late for preschool. It’s either that or grab a donut on the way…and somehow the Cheez-its seem like a better choice. You know, because Cheez-its have cheese (flavoring) and cheese has calcium, and calcium gives you strong bones and teeth. Score. And speaking of food, I’m sure it’s not just in my house that everyone devours the bananas like they are going out of style, and then begs me to buy more bananas because they LOOOVE them. Which I’m happy to do because, well, they’re bananas. But also because bananas are the best kept secret in the supermarket. You can buy a zillion bananas and it will only cost you about 2 bucks. So I do just that. I buy a zillion bananas for my banana-loving kids. I now have a zillion brown/turning black bananas on my counter because, yea, they’re all set with bananas. Please tell me I’m not the only one who uses paper plates, paper cups, and plastic utensils because it cuts down on how many dishes I have to actually wash. I know, I know, it’s bad for the environment. But you wouldn’t be judging me if you knew how much I truly hate doing the dishes. I also hate cleaning the bathrooms. It’s not just my boys who can’t aim, right? I’m talking, can’t aim to the point that I’m pretty sure they are peeing with their eyes closed. Sometimes I make them clean it themselves, which grosses them out. But it doesn’t gross them out enough to open their eyes the next time they pee. Ummmmm, it’s not just in my car where someone will yell “food fight!” and suddenly a corn muffin will go whizzing past your head, right? Right? Okay, that may just be my car. But I know that it’s not just me who goes grocery shopping and then two days later has no food left in the house because the kids have gone on an all-you-can-eat bender. I know that happens in your house, too because you’ve told me. Please tell me I’m not the only one who screams “WILL YOU JUST SHUT UP!! !” silently in my head while my nine-year-old follows me all around the house talking and talking and talking. Oh, and he’s a low-talker so sometimes I can’t even hear what he’s saying, but I know he’s talking because his lips are moving and I can hear a faint murmuring sound coming from them. Wait, I just re-read that and it sounds mean so I would like to clarify that for the first hour of our one-sided conversation I am fully engaged. But eventually someone else needs attention and the nine-year-old just keeps on talking/murmuring with no end in sight. So that is when I begin my silent screaming. Oh, and you know how I mentioned above that we are fashionably late for preschool (every day)? Well that is because my 5-year-old spends so much time standing in front of the mirror and making up songs about how pretty she is. That happens in your house, too, right? How about one of my sons who will risk being late and getting detention because his gelled hair isn’t flipping just right? My house only? I can’t possibly be the only one who buys the kids boatloads of socks, only to have them completely disappear into thin air, right? Does that happen at your house? I can’t understand it. I will go thru the entire house and find every single sock and I will do a socks only wash. I will wash them, dry them, match them, fold them, and huck them into the sock basket. And still there will only be like 5 pair in there. Five. I just bought three 8-packs. And now we have 5 matching socks. Okay, it’s your turn. See the little comment section below? 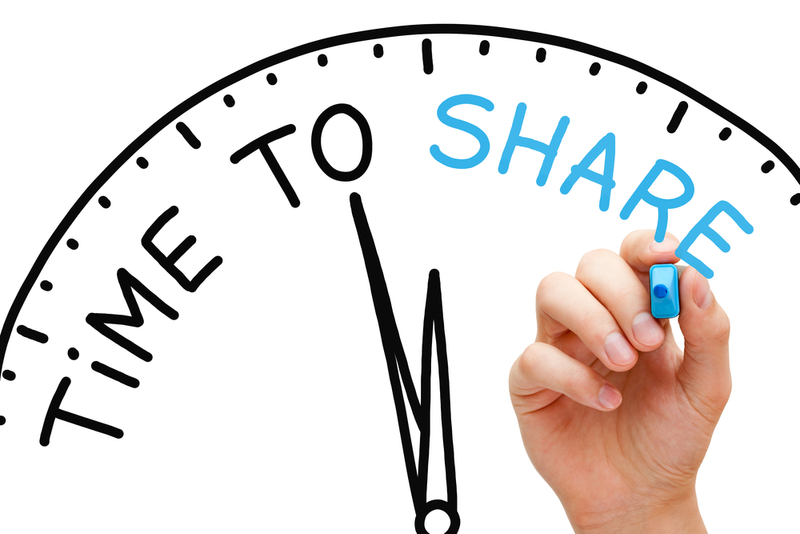 Drop me a line and share a story. It’ll make us all feel so much better to know that we are not living in Crazytown alone. 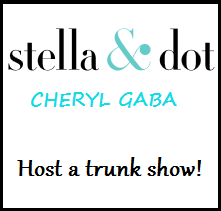 And…..GO! PS~ Check me out on ScaryMommy.com on Friday! Yay!! That’s right. We were away with the kids, and in the hotel there was an arcade. You can pretty much walk into any family-friendly hotel in the entire world and there will be a dreaded, money-sucking arcade somewhere in the building. And, of course, in any respectable money-sucking arcade there will always be at least one claw machine sitting there just waiting to torture some poor sucker. I hate claw machines. My kids love them. I seriously think they should be against the law since they are basically just a big racket. 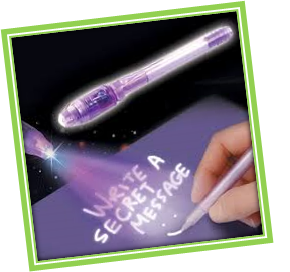 My kids think they are the best invention since the dawn of time. I may be a dreamer about a lot of things. But when it comes to the claw machine I am a realist. A very mean realist. Me: You’re not going to win anything. Me: I know you WANT to win it…but you’re not GOING to win it. There’s no way for the claw to get that far down. And even if it does get that far down, it won’t be able to pick up that toy. You’re not going to win anything. You’re just not. Them: Yes, I am. Can I have a dollar? Me: I hate to be a dream-crusher, but it’s rigged. 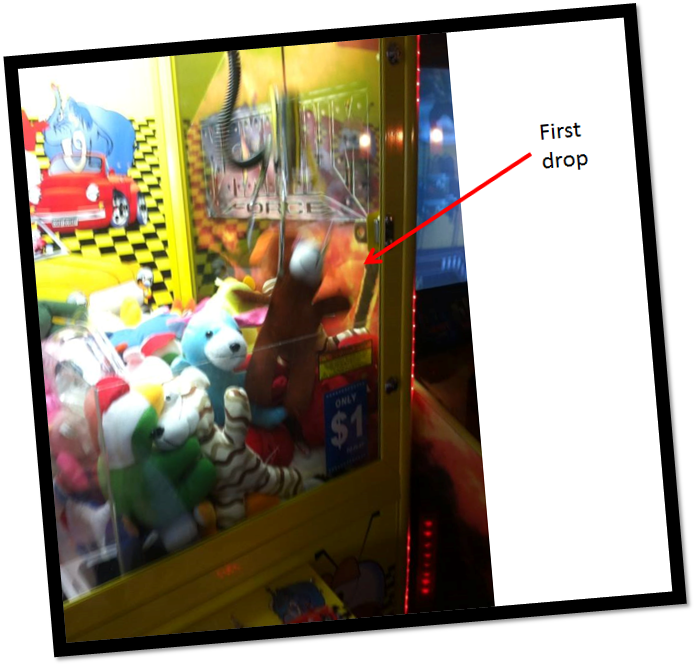 I’ll give you a dollar, you can put it into the machine, move the claw around, and then drop it when you think it is over the toy you want. But you won’t win. As long as you know that going in, I’m fine with it. Them: Okay, can I have a dollar? Me: No crying and complaining after. Them: Can I have a dollar? Me: You’re not going to get that toy. Them: Yup, can I have a dollar? I handed over one of the two dollars she was allotted. 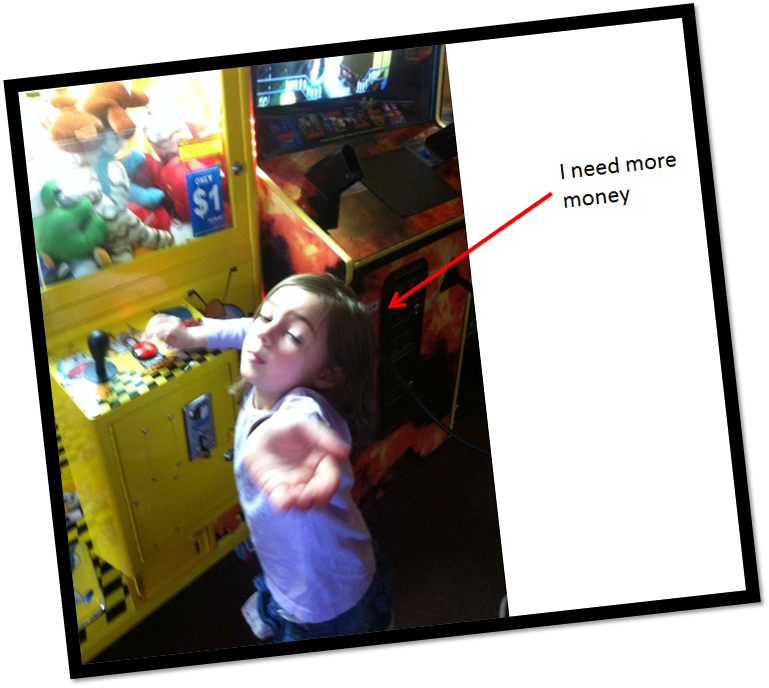 She put it in the machine, strategically moved the claw, and pushed the red button. 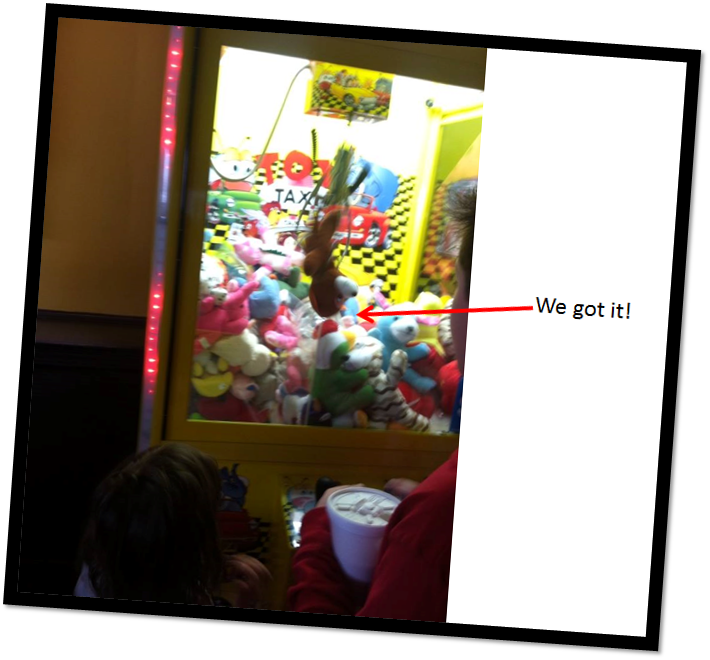 She was surprisingly shocked that the claw didn’t pick up and deliver the prize she wanted. 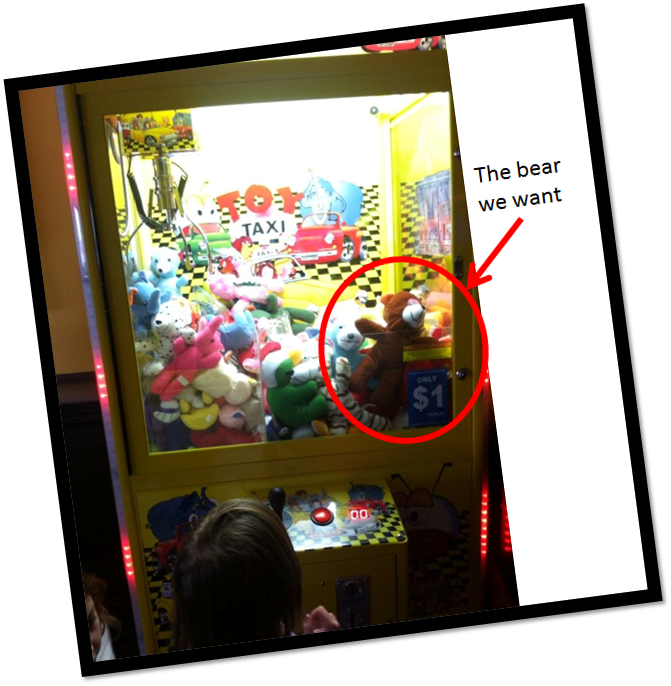 She was also surprisingly confident that with her next (and “last”) dollar the bear would be hers. I handed it over (you’re not going to win) and she fed it into the machine. This time when the claw went down it actually grabbed the bear by the head and managed to lift it up an inch or two before dropping it. Huh, interesting. She wanted another dollar. I should have said no. But, I mean, she ALMOST had it the last time. One more dollar. That’s it. I mean it this time. I handed over the George Washington and we all gathered around. 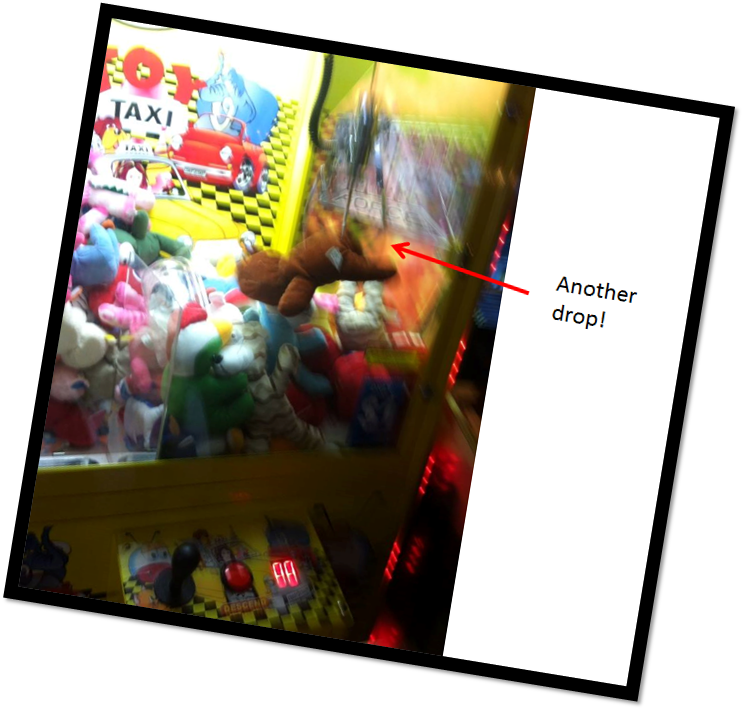 This time the claw picked up the bear and carried it almost all the way to the drop area. Almost ALL the way! I drank the Kool-aid. One more dollar. Another pick up, another drop…even closer to the drop area. This damn thing is rigged! (Can anyone break a $20?) Time to call in the big guns: her 11 year old brother, Harry. Another dollar. Another drop. Another dollar. ANOTHER drop. So close. I’m all in now. Fully invested. I don’t even care what the cost is…we are getting that bear. That bear is ours. Maybe this time…nope. Maybe this time…nope. And then, just when I thought I’d be breaking another $20. 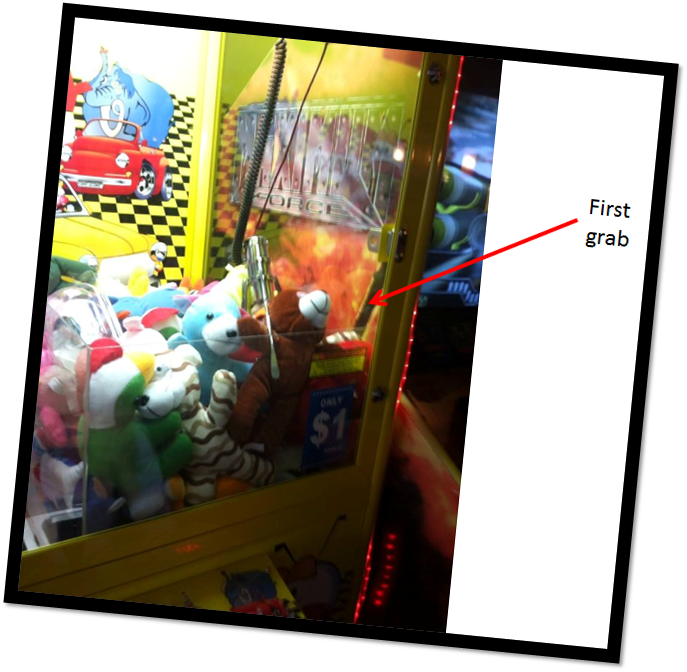 The claw picked up that freaking bear and managed to hold onto it all the way to the drop area! No one was more surprised than me! WE WON! We won the bear! We won the bear! We won the… wait, ewwww, we won the bear. And I paid HOW much money to win it? 20 bucks? I paid 20 bucks for that piece of crap? So even though we won, we lost. 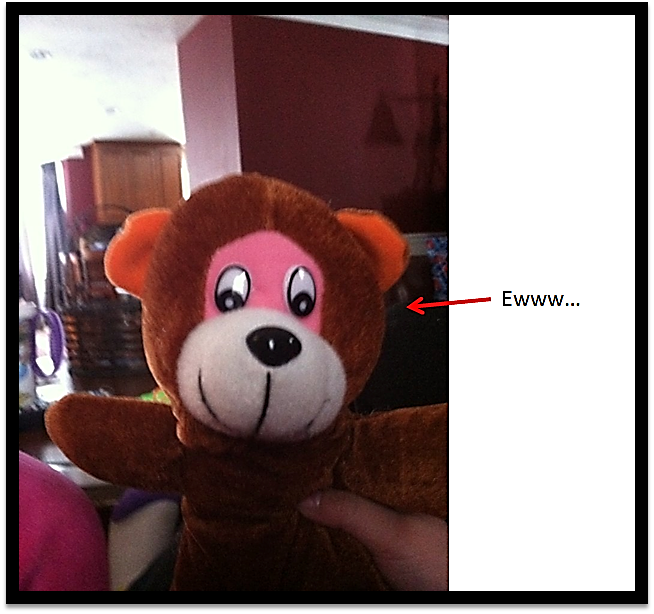 We are now stuck with an extremely expensive, totally gross, stuffed bear that I am going to have to sneak into the trash under the cover of darkness some night. 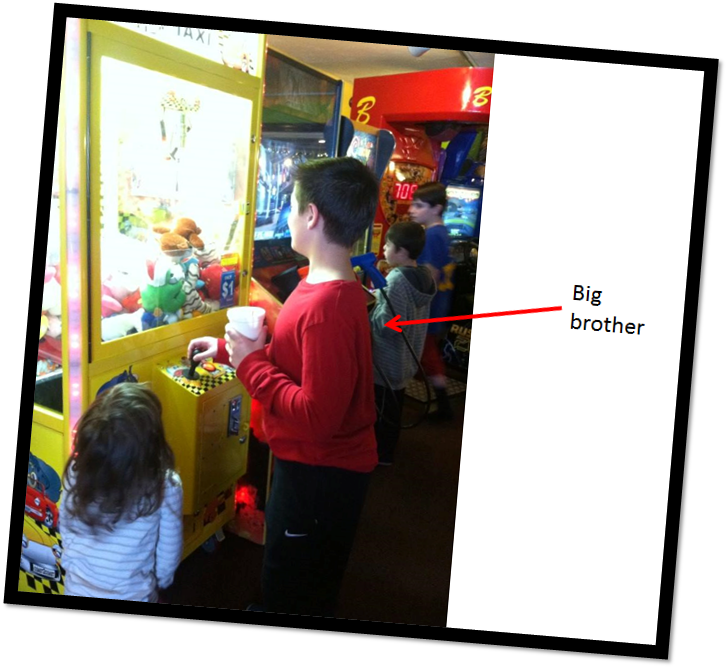 Claw machines are like War Games (starring the great Matthew Broderick). The only way to win is not to play.